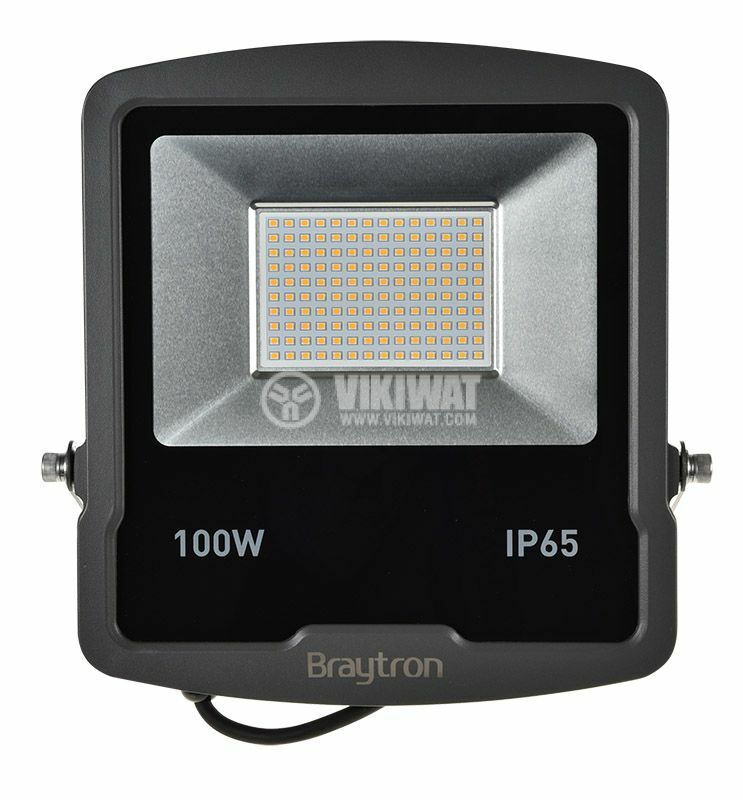 Powerful and energy-efficient 100W LED floodlight Braytron with power 100 watts, light output 8500 lm (lumens), warm white lighting and protection degree against dust and moisture IP65. 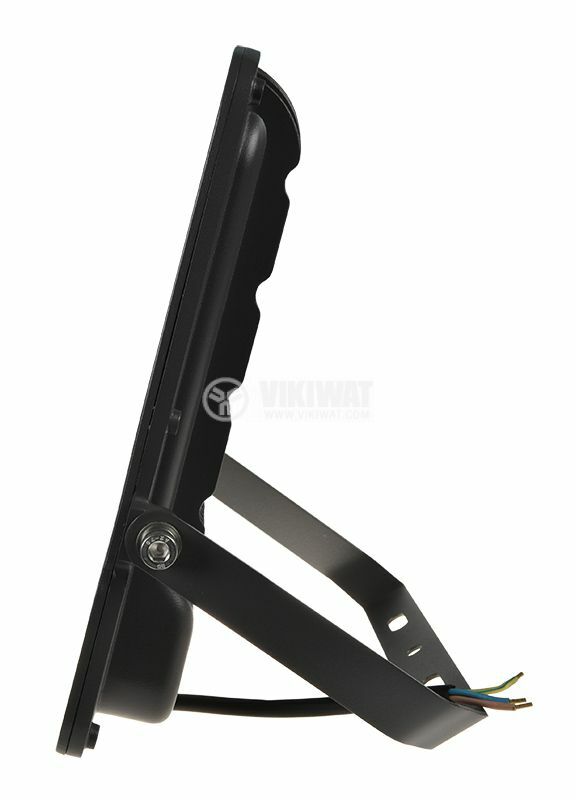 Its modern and compact SLIM design makes it an ideal solution for lighting large areas, halls and construction sites. 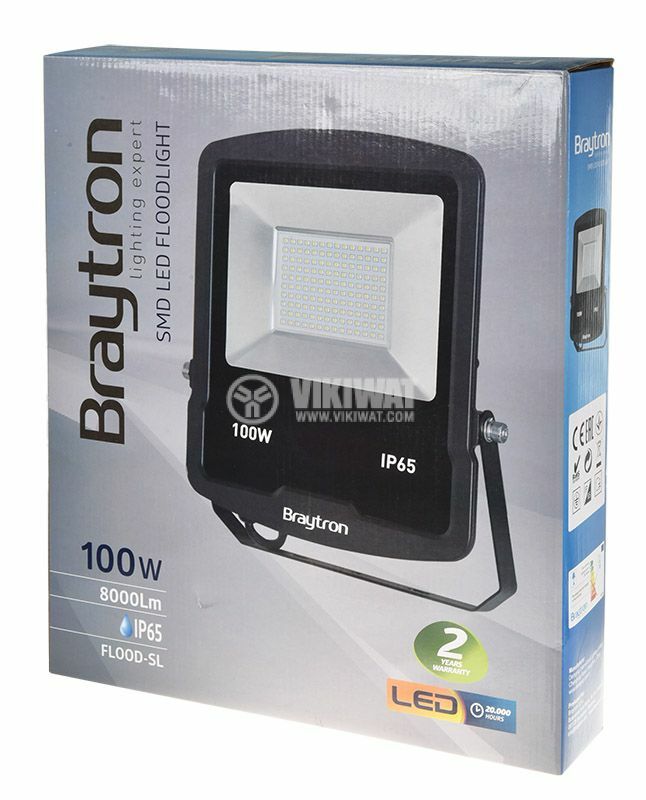 100W SLIM LED floodlight from Braytron is a powerful light source that delivers 8500lm light output for 100W power consumption. 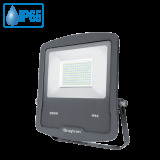 This makes it an ideal choice for lighting in large areas, playgrounds, stadiums, theaters and construction sites. 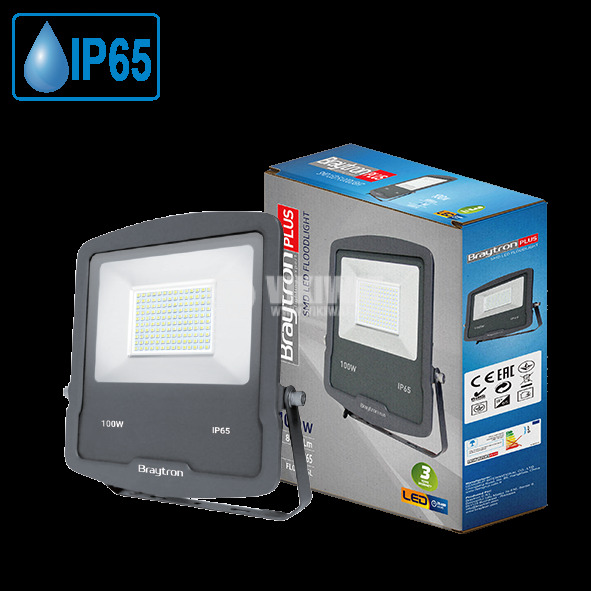 Thanks to its high protection against dust particles and moisture IP65, this model LED floodlight can be mounted in the open without affecting its operations. The housing is made of high quality aluminum and the glass is toughened and insulated additionally guaranteeing a life cycle of up to 30,000 hours. Its compact size with a thickness only 60mm makes it a great choice for façade installation. LED floodlights have an energy advantage over conventional halogen floodlights as they can save up to several times more electricity cost. 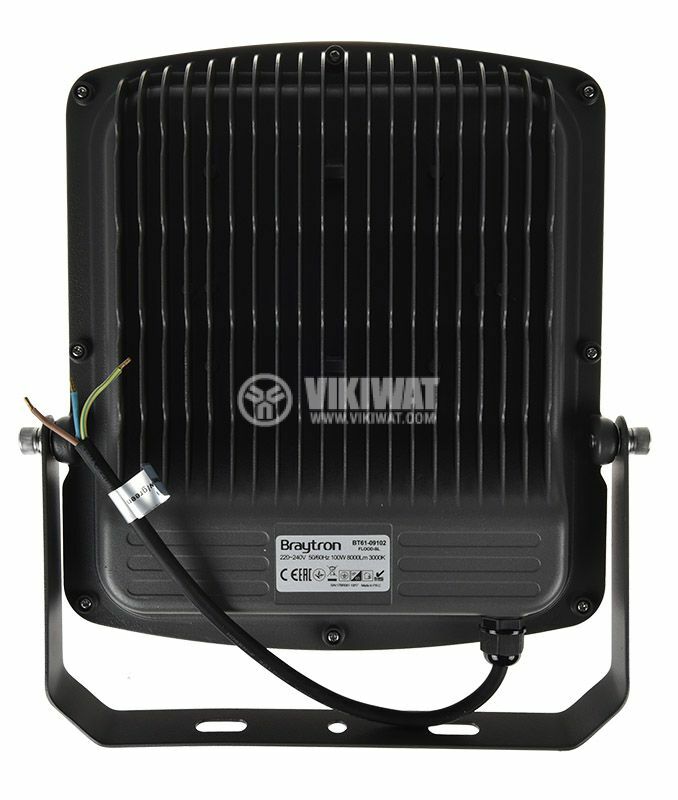 100W Slim LED floodlight can successfully replace old halogen options up to 1000W. 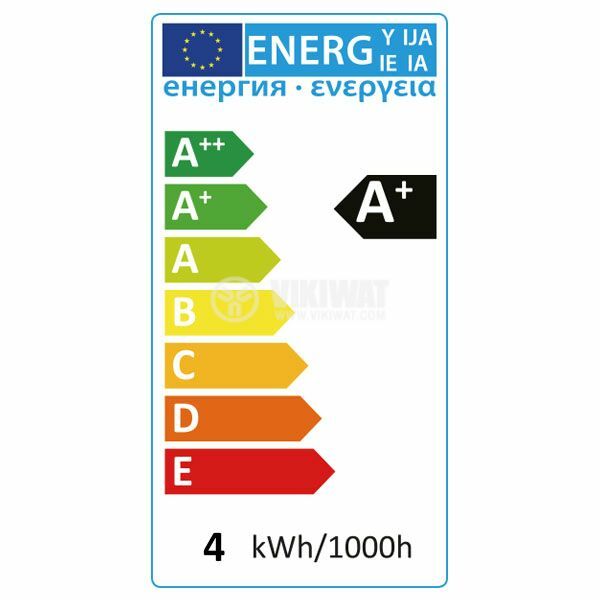 LED technology is a very safe choice because it lacks thermal radiation which reduces the risk of accidents. The BT61-09102 has a 24 months warranty period. CRI color rendering index (ability of light to reproduce natural colors) - Ra = 80. Price is for 1 pcs. 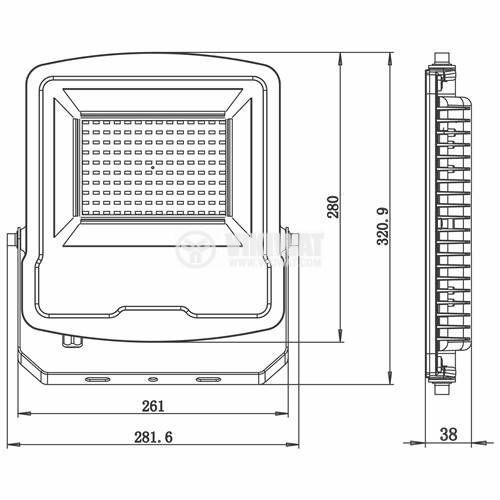 BT61-09102 LED floodlight is NOT dimmable. When it is used with a dimming device, it will be irreparably damaged. Монтирах го пред входа на блока. Осветява доста широко като светлината е изключително равномерна.